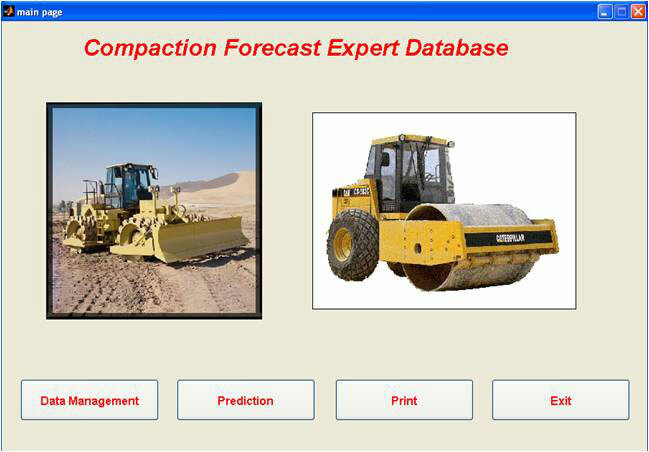 In this research, the Compaction Forecasting Expert Database (CFED) analysis tool developed by Caterpillar Inc. was analyzed and compared to traditional approaches for predicting a family of laboratory soil compaction curves for a given soil. Classification, laboratory compaction, and field compaction data for 42 soils collected from 7 states (Iowa, Illinois, Minnesota, North Carolina, Colorado, Maryland, and Florida) and China were input into CFED to evaluate its performance. Five other methods for prediction of all or part of the laboratory compaction curve were determined from a literature review. The performance of CFED was determined both absolutely and relative to these five prediction techniques. Soil samples were compacted in the laboratory using impact compaction at standard, modified, and intermediate compaction energies. Lab compaction curves were interpreted by hand and by the six other methods of prediction (i.e., the CFED and the five methods determined by the literature review). In total, 763 compaction tests were completed as part of this study. The deviation of predicted values to interpreted values was analyzed to compare the performance of CFED to the other five prediction models found in the literature. Additionally, this research linked relationships between laboratory compaction energy and machine pass. Field compaction data were available for some soils input into CFED. These field data included density, dynamic cone penetration index (DCPI), Clegg impact value (CIV), light-weight deflectometer (LWD), and plate load testing (PLT) data versus machine pass for various machine configurations.